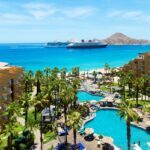 Purchasing a Villagroup timeshare can be one of the best financial decisions you could make if you have a passion for Mexico’s beach life and top notch hotel and resort luxuries. You get the luxury of having access to places like Riviera Nayarit, which is located between Bucerias and the Puerto Vallarta’s international airport on Banderas Bay. And, most importantly, you also get access to the lovely Villa del Palmar Flamingos resort in Riviera Nayarit, Mexico. Many people are wary of timeshare scams, and Villagroup vacations are no exception. When you purchase directly from the Villagroup sales office, you are free of any danger of being involved in a timeshare scam, but you should beware of other kinds of Villagroup scams such as timeshare cancellation scams, rental scams and resale scams. 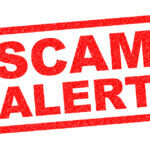 See my article on how to protect yourself from a Villagroup timeshare scam . What makes Riviera Nayarit timeshare convenient? If you are looking for the best destination for great sunshine, exciting events and exquisite resorts and hotel sites, then Riviera Nayarit is the place to be. If you are coming from Puerto Vallarta’s international airport, then you can take a taxi to reach the Villagroup’s Villa del Palmar Flamingos resort found in Riviera Nayarit Mexico. This resort is probably one of the biggest highlights in beach life for Banderas Bay. There are a variety of fun events you can participate in when you have a Villagroup timeshare membership in Nayarit, Mexico. In the wintertime, you can see the whales jumping around even when you are on your suite’s balcony. You can enjoy a romantic stroll on the boardwalks and around the beach in Marina Vallarta, Nuevo Vallarta Marina or the malecon from downtown Puerto Vallarta. And between the months of November and May, you can appreciate the beauty of the Bucerias and Puerta Vallarta ArtWalks and a variety of Banderas Bay farmer’s markets. If you are interested in summer fun, you can enjoys activities such as banana boat riding, snorkeling and diving, ATV driving, parasailing, paddle boarding and kayaking. 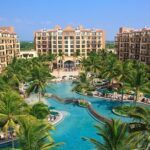 Far from being a timeshare scam, the Villagroup Membership in Nayarit gives you access to one of the best family resorts in Mexico: Villa del Palmar Flamingos. TripAdvisor Villagroup reviews gives high praises to this resort for being the go-to family resort location for a variety of events. You get to experience excellent restaurants, upscale swimming pools, beach life, a top-notch gym, and a premium spa. Another benefit of your Villagroup Membership in Nayarit is the meal plan that accompanies your membership. The rooms available through your Villagroup timeshare membership in Nayarit are spectacular. You can choose from suites, deluxe rooms and penthouses, and you can switch up your selections each time you visit Nayarit. Where else can you visit with a Villagroup timeshare? A Villagroup timeshare membership allows you to visit other locations in Mexico such as Cabo San Lucas, Cancun, Loreto and Puerto Vallarta. Still worried about timeshare scams? Check out the rest of this website for timeshare advice.